Extractions: Bone China The ingredients of bone china are china clay, china stone, silica, alumina, alkalies, lime and bone ash. It is fired at high of 2,300 to 2,500 degrees Fahrenheit. In the best grades of English bone china, 50% or more of the body consists of refined bone ash prepared from specially selected animal bones which are reduced to a fine powder by heat. The bone is mixed with the finest china clays and highest quality Cornish stone. 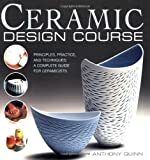 Specially skilled workers are needed in the manufacture of bone china and the best and most highly skilled in the world are found in the pottery district of England. Earthenware The basic mixture for earthenware is potash, sand, feldspar and clay. This type of dinnerware is fired at anywhere from 600 to 1,200 degrees Fahrenheit  usually around 900 degrees Fahrenheit. Earthenware (often mistakenly referred to as "china" is not made from a hard paste. It has a softer body and is much cheaper to produce. It can be made almost as thin as bone china, but it lacks translucency. It is not as durable as bone china and chips more easily. However, it is much less expensive, lends itself to colorful decorations and is often interesting and quite beautiful. Fine China Dinnerware designed as "fine china" usually indicates that feldspar, a glassy and hard crystalline mineral made up mainly of aluminum silicates rather than bone ash has been used as the fluxing (fusing or bonding) agent. Fine china does not have the pure white body seen in bone china. It tends to have a grey-white hue. Extractions: Report by Robert Yellin In the West, one never really pays much attention to the box after receiving a gift or after making a purchase for oneself. It's simply there to hold the contents and then be thrown away. It doesn't really tell us anything about the contents other than possibly the status of the store. Not so for most Japanese goods. Wrapping here in Japan is a very serious business. The box for most artwork is a work of art in itself and often has splendid calligraphy written by the potter. An interesting anecdote concerning Japanese wooden boxes concerns the eccentric potter-gourmet Rosanjin. On a trip to Europe in 1954, he paid a visit to Picasso. This is how Sidney Cardozo writes about that encounter in his book The Art of Rosanjin. When Rosanjin did call on Picasso, he brought this most renowned Western artist an example of his potting. Naturally it was in the finest of paulownia wood boxes. Picasso was fascinated by the smoothness of the wood and glowed with pleasure as he stroked the surface. Impatiently, Rosanjin thundered "Not the box, not the box, you simple child! What I made is inside the box!" Extractions: Portmeirion's range of cookware (bakeware) with its distinctive 'corduroy' base has been specially designed to enhance the cooking experience. Crafted from a unique vitreous (non-porous) ceramic body, the Portmeirion cookware range has an unrivalled combination of properties. These make it ideal for cooking a wide range of dishes including pies, roasts, quiches, baked puddings, cakes, curries, pasta, asian and mediterranean dishes. Maximum conventional oven temperature 252ºC / 486ºF / Gas Mark 9. Portmeirion Cookware (Bakeware) can be placed directly into a hot oven. It can also be used on hotplates (electric, Aga, Rayburn etc.). But DO NOT allow contact with naked flames or use on GAS hobs (burners). Cook straight from the freezer. Pre-prepared meals stored in Portmeirion Cookware (Bakeware) can be taken from the freezer and placed straight into a hot oven. 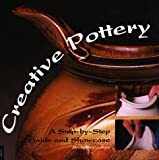 Extractions: Wood Crafting Polymer Clay, Ceramics, Pottery Polymer clay is a fun, versatile sculpting medium that can be used to make crafts, jewelry, and artistic sculptures. Learn more about polymer clay and find many free projects, tips, and tutorials from these resources. Spotlight On Kellie's Klay Offers free lessons for polymer clay projects. Includes satin swirl egg, blended filigree egg, mini mokume gane, Altoid tin covering, mobius beads, buna cord bead and loop, and information for attaching pin backs to polymer clay jewelry. Polymer Clay is one of the most exciting, versatile, colorful artist's medium today. It is a plastic based clay, made up of polyvinyl chloride (PVC) suspended in a plasticizer. When cured, it fuses into a very hard plastic. What makes Polymer Clay exciting is its versatility. It can be sculpted, carved, stamped, textured, and even sanded and buffed to a high shine. What is Polymer Clay? Extractions: THE TAIN POTTERY Click here to continue without flash You can place an order with our on-line shopping here About us How to find us Online Shop Stockists Tain pottery produces luxury hand painted ceramics and stoneware with thistle patterns or designs like Glenaldie in the heart of the Scottish Highlands. All this high quality pottery is hand-made by skilled craftsmen and women as well as tiles, mugs, plates and most tableware. These are then decorated with the famous tartan patterns or we can undertake commissions for design if you require something special. The dinner services we produce are hand made and ideal for wedding lists and as individual wedding gifts with a Scottish theme. Tain pottery is collectable and our hand painted designs ensure no two pieces are identical. Top sellers include Glenaldie, with its thistle, tartans, tiles, mugs in all our famous designs: Shandwick: another "Seaboard Village" looking across the Moray Firth to Nairn, its beautiful sandy beach surrounded by rock pools reaming with shellfish.